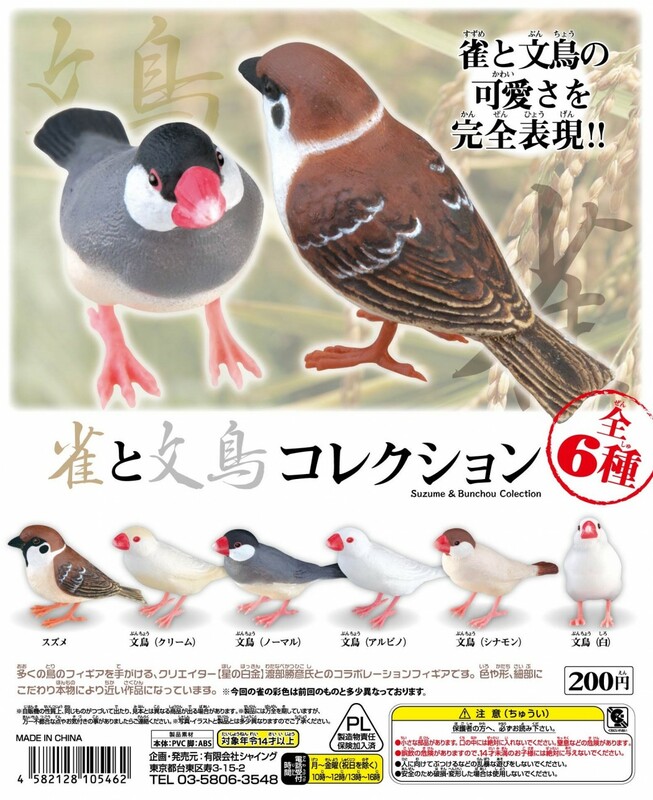 The Tenori Inko collection is a series of bird (mainly parrot) themed toys. I picked up a lot of birds from it on YAJ and did some digging on the line, but I'm still very curious about them! I'm absolutely in love with these little birds, and I figured even if there wasn't anyone with more information on them that at least someone else here would like to see/know of them. WOW, very nice figures. When I was a generalist, I was always happy to see smaller birds/song birds made. And nice detail too. So, we are sure they only do birds? If they do other animals than they are not under Tenori Inko, but this is probably a line from a larger company presumably with other toy lines. The birds themselves are unmarked so no hints there. They are indeed beautiful, expect some walkarounds soon. They are gorgeous! I believe "Inko" actually means "parrot" or something similar. Apparently, the manufacturer's name is "Shine". I agree with Blaine that they are very reminiscent of Kitan Club, mainly because these sets are arranged pretty much like Kitan Club's Mono series.